Fun, vibrant and electrifying, we all know it as African prints but it takes someone with an incredible sense of style to put it at the forefront of fashion and one of those people is Nana Akua Addo. 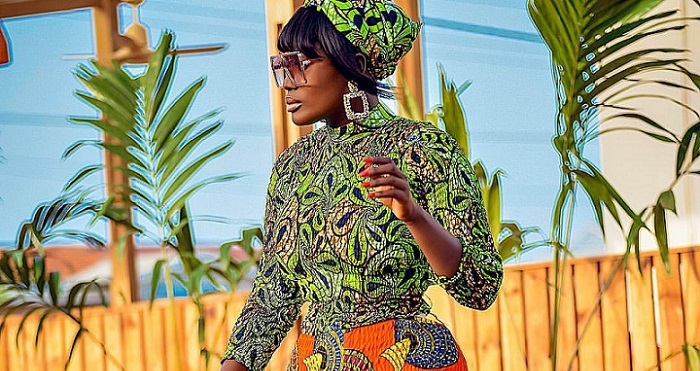 The Ghanaian actress knows no boundary when it comes to fashion and she has a knack of sending the message across, that’s why we are particularly enamored with her latest Ankara style. The actress has been dubbed one of the best-dressed celebrities in Ghana and it comes as no surprise she’s the one pulling this off with such aplomb. Apart from that, the new Ankara style was right on par with her signature style, leaving us feeling rather inspired. So in that case, we will need to ditch our western ensembles in favor of something very African a la Nana Akua Addo. Wear Ghana 2019 is a campaign set up by the government which aims at encouraging Ghanaians to patronize locally produced items of fashion. According to a report, it will run throughout the year with a series of activities such as fashion shows, seminars, symposiums, exhibitions, and etc.